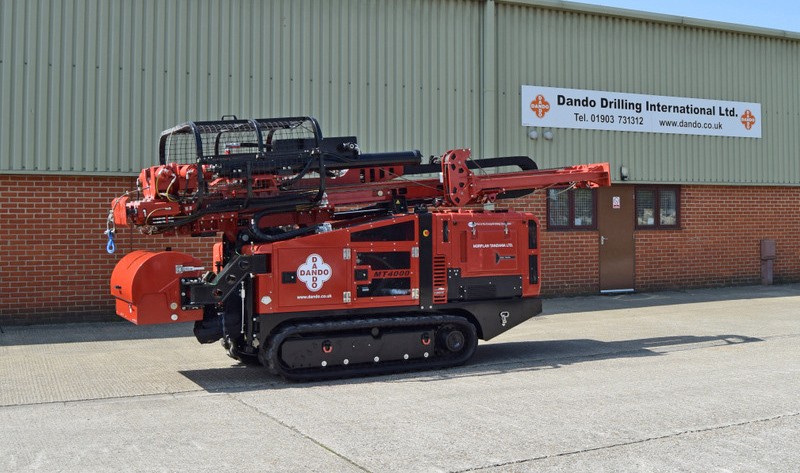 Market pressures in the mineral sector have resulted in innovation at Dando Drilling International and has led to the production of their current best selling exploration rig, the Multitec 4000. However, in 2012 the market changed significantly. Mineral prices, and especially coal, took a dive, and amid the uncertainties many major miners and contractors sought to freeze capital expenditure. Sales of Dando’s larger rigs began to slow. Exploration, of course, continued to be necessary but the focus changed to obtaining good results while reducing initial outlay and running costs. At this moment in time, Dulake reports, the small footprint, track mounted Multitec 4000 caught the attention of the market. “Our customers saw the Multitec 4000 as an opportunity to continue drilling while maintaining profit margins that had suffered due to mineral market conditions,” he explained. Capable of the full range of mineral exploration drilling techniques with penetration rates for wireline coring and open hole boring that matched much larger, more expensive equipment, the rig was a cost effective solution to demanding mineral exploration programmes, but at a much lower price point. After its launch in 2015, interest and sales for the Multitec 4000 immediately took off in the mineral exploration sector with international sales across Africa and South America for a range of mineral targets. The response from customers was positive with several key benefits quickly emerging. Among these, the small footprint of the rig, at only 1.4m when tracking, allowed access to forested or jungle environments with minimum disruption to flora. While able to load 3m rods, the mast extension allowed tripping of 6m lengths expediting a change of tooling or redeployment to a new drill pad. Efficient engine sizes coupled with small but powerful rotary heads meant that customers were experiencing large reductions in fuel usage with some reporting consumption as low as 5 litres per hour while meeting or exceeding target penetration rates. Strong customer relationships and feedback have played a key role in ensuring the development of the Multitec 4000. One such customer is UK based Hughes Exploration and Environmental Drilling. 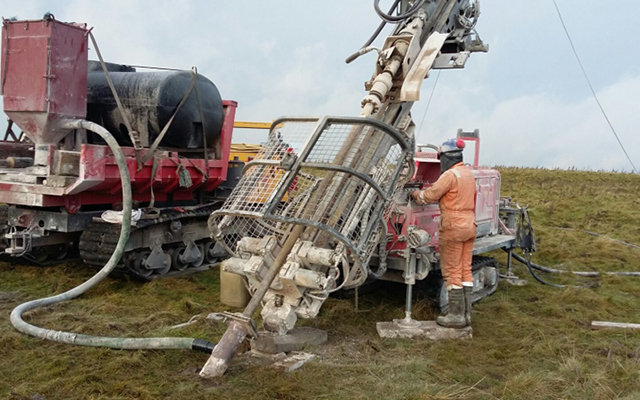 With a diverse fleet of drill rigs catering to exploration drilling as well as units for water well, geothermal and sonic applications, they were looking for a rig to drill hard rock quarries around the UK and decided a Multitec 4000 would meet their requirements. The rig was set to work immediately using N-Wireline and H-Wireline coring on a range of targets from dolorites to limestone. Purchased to replace two older rigs in his fleet, owner Martin Hughes reported that the Multitec 4000 has “done everything that we have asked of it,” drilling in the 80-180m range. “The rig is already programmed on a number of exploration contracts”, continued Hughes, “including H and P wireline, drilling both vertical and inclined boreholes, along with domestic GSHP and water borehole projects between jobs.” The proximity of such an exploration company to the Dando factory and the experience of Hughes, who has run the company for over 30 years, ensured direct and valuable feedback to Dando engineers and led to refinements in his own rig which have been implemented directly into new models. 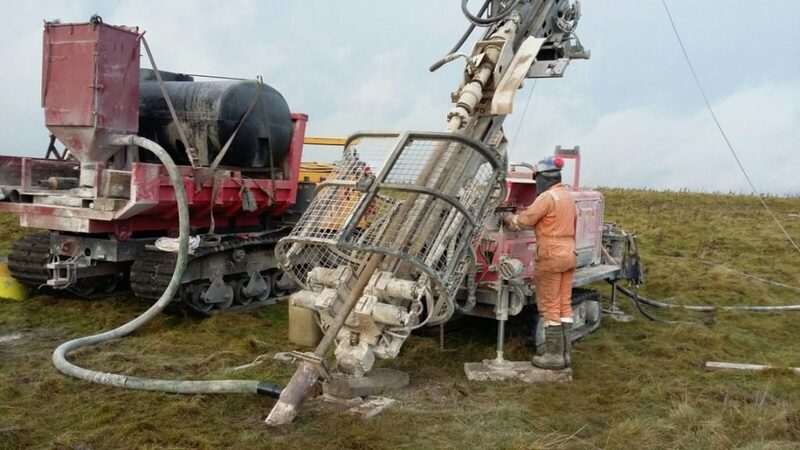 With increasing demand for the rig globally it quickly became apparent that, while a multipurpose machine the Multitec 4000 was filling a niche in the market for mineral exploration. In particular, a number of sales to customers drilling in equatorial jungle regions with difficult terrain and limited access along narrow tracks and between trees spurred the design team to focus on producing a fully-fledged exploration version of the rig. Rupert Coler, design engineer at Dando, illustrates the criteria for the new model: “The Multitec 4000 was frequently being used in uneven, sometimes steep, forested terrain with muddy, sticky or slippery surface conditions. Our first target was to ensure the rig could navigate this kind of terrain quickly and with maximum safety to the operator.” As a result, the Dando engineers focussed on designing the chassis and component layout of the Mulitec 4000 Mk3 to achieve a low and central centre of gravity. Wider 400mm tracks were selected rather than the standard 300mm versions, with options including steel single-bar grousers to provide good clearance of mud in wet environments, or rubber tracks for gentler surfaces. The track- base was also widened slightly to 1.55m which increased the tilt angle of the rig markedly with a view to increasing safety while traversing slopes or other uneven terrain. A high-power hydraulic climbing winch was designed-in as an option to provide additional security when navigating steep and muddy terrain. In standard form, the rig is supplied with a 75Hp Tier 4 Final engine to meet regulations in European and North American markets, and a 111Hp Tier 3 has been chosen for the rest of the world, although other options are available. With the majority of customers exploring to depths in the 50-250m range and in core sizes between N and P, the compact but powerful RH6 rotary head usually used on the larger Multitec 9000 rig was selected as a high-performance option. To ensure sufficient oil was supplied to the 6000Nm/750rpm head and uprated-crawler motors, a high efficiency hydraulics system was designed by UK based Hydraulic Alliance around Bosch-Rexroth pumps and motors. The mast has a 3.6m working stroke with a deployable mast extension to allow two rods to be pulled at a time. The folding mast extension ensures that when tracking the mass is kept firmly at the middle of the rig providing a stable base. Double acting hydraulic break-out clamps at the foot of the mast make and break joints while an integrated soft coupling ensures the longevity of wireline rods and sub adapter threads. A new console has been designed on a swing arm so the driller can choose a position that affords him the clearest and safest view of the borehole. With safety being taken seriously not only in the west but increasingly in the developing world, the rig conforms to all new UK and EU regulations and standards such as EN16228. Opening guards leads to an immediate decrease in rotation speed and power units meet rigorous emissions standards and have noise attenuated canopies. For the most difficult terrain, a robust radio remote control option enables the machine to crawl up steep inclines in muddy and slippery conditions with complete safety to the operator.